I've lost count of the amount of times I've rambled on about teenagers being viewed negatively in the press, with stories of truancy, crime, killings, drugs, alcohol, pregnancies, chavs, suicides, and 'us lot' being generally irresponsible, selfish and unaware of life. Yawnyawnyawn change the record. So I am going to change the record, to the B side. B for Bravery. Picture the scene, you're a 13 year old boy and it's Monday morning. "Urgh" is the first reaction, right? You're probably in the first few months of puberty being introduced with your new best friends, Ac and Ne and you're Beiberfying your hair trying to nab your first girlfriend. Your Xbox is your oxygen and your bedroom floor has packed its bags and left in search of a new life with brush. "Come on Jordan, we need to leave to get your uniform NOW." Shopping and school in the same activity? HELL that is for a boy. Nevertheless, at around 2pm on Monday Jordan, Blake and his mother are in the car on the way back from the shops. Pretty standard day. With a reward of sweets, I assume. 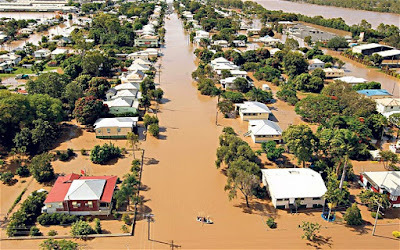 The Australian floods have caused destruction this past week, with people dead and and areas the size of France extinct under the tons of water. Toowoomba clearly seemed unaffected and not at risk from this scene, until water started to rise around the Rice family's car. Usually when there's a small flood on a road, driving through it is AMAZING. The water sprays up in a wave against the car and you feel like Moses parting the Red Sea. But what if the water kept rising? Rising enough to cut your engine out? Stranded in a lake of dirty murderous water? It's not stopping. It's half way up your car door now. If you're not careful you won't be able to get out. Not so fun now is it? Your mum's panicking. She's called the emergency services who have told her to stay in the car. Stay in the car?! The water's rising faster now and it's coming into the car. You have no choice but to escape onto the roof. No one tried to help this little family. Too scared they'd be a victim themselves. But one old man grabbed a rope, tied it around himself and jumped in the flood. If you think the situation couldn't get worse and is seeming to get better, think again. Jordan is petrified of water and can't swim. Jordan wants to get on dry land as fast as possible because this is his worse nightmare. Hope is swimming towards him though, the old man is going to save him right? Jordan refused to be rescued until his little brother was safe. He was willing to risk death to save Blake. What's your relationship with your siblings like? Quarrel a lot? Fight? Compete for attention? At 13 these features of sibling rivalry are likely to be at its highest point. Now think about YOU being in this situation. You could be swept away in a torrent of violent floods at any moment, it's instinct to find a way of survival FAST. You don't think of anyone else but yourself. Selfish? Possibly. But it's your life and something inside tells you to do anything to live it. So if at 13 years old someone was there in front of you, willing to save you at that very moment and take you to safety, would you say no? Even if others close to you were there too? If your mother was saying "Go! Go with the nice man!" Or would you say no and save your little brother first? The old man didn't have time to argue. The rope was fraying and water was still rising, so he tied the rope around Blake and took him to land. He swam back out to save the other two, there was time, he could do it. But the rope broke. It couldn't take the strain of the flood and the weight of the people. Jordan and his mother had no hope. They were gone. Taken by the churning torrent of brown water they were swept away, but managed to cling to a tree...before they loosened their grip and accepted their fate. Blake was left the only survivor of a trip to buy school uniform. Reunited with his father to become a family of 2. 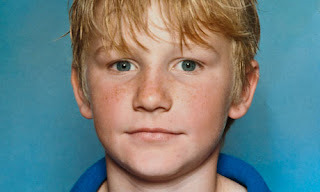 Jordan Rice was 13 years old from Toowoomba, Australia. Jordan Rice sacrificed his life for his little brother during the devastating floods of Queensland in January 2011. Jordan Rice is a hero and now you will remember his name. Powerful, powerful but so, so tragic. RIP to all the victims of this horrible time. Very brave boy. Just wanted to clarify though, they are not a family of two. But Jordan has two older brothers as well as the younger one he gave his life for. Myrecruita.com.au designed to provide best recruitment's for your organization and your businesses. 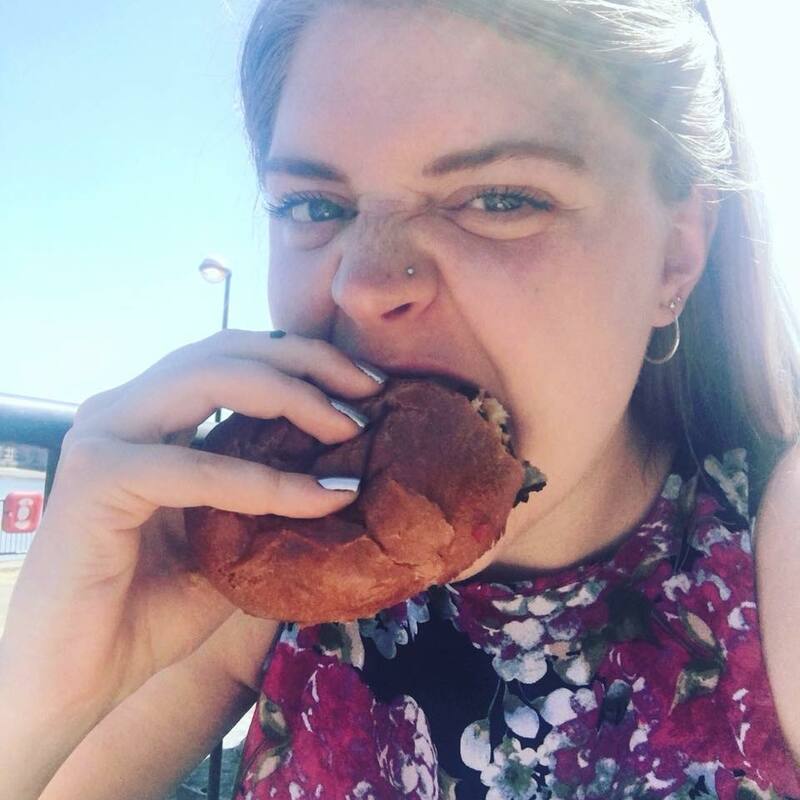 We provide the recruitment for recruitment agencies toowoomba, recruitment toowoomba, and recruitment company toowoomba, help me find a job toowoomba, jobs toowoomba and find a job toowoomba. Thanks for sharing information on this blog, i have visited your blog great post....!!! !